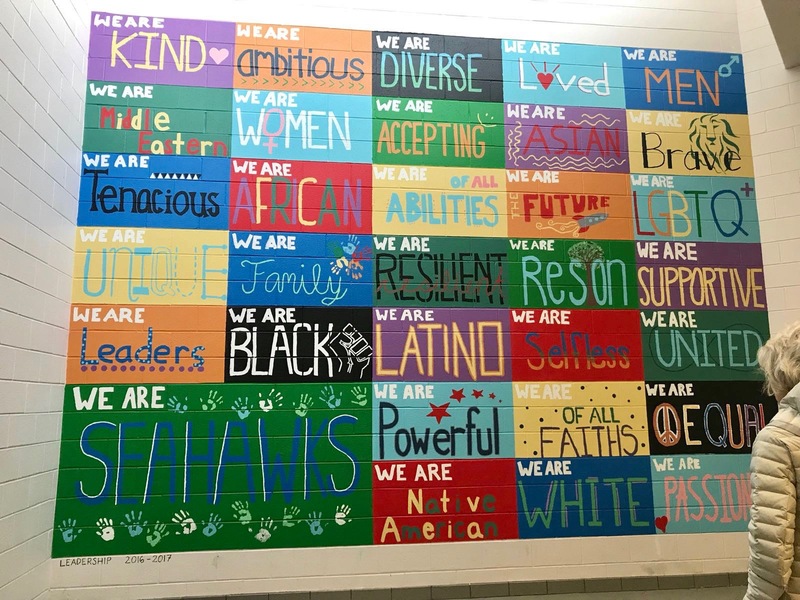 The students’ wall at South Lakes, an IB high school in Reston, Virginia. Photo by Daniela Diaz. Visited South Lakes High School in Reston, VA (a DC suburb) this week with a Partners of the Americas’ exchange university student from Colombia, Daniela Diaz. 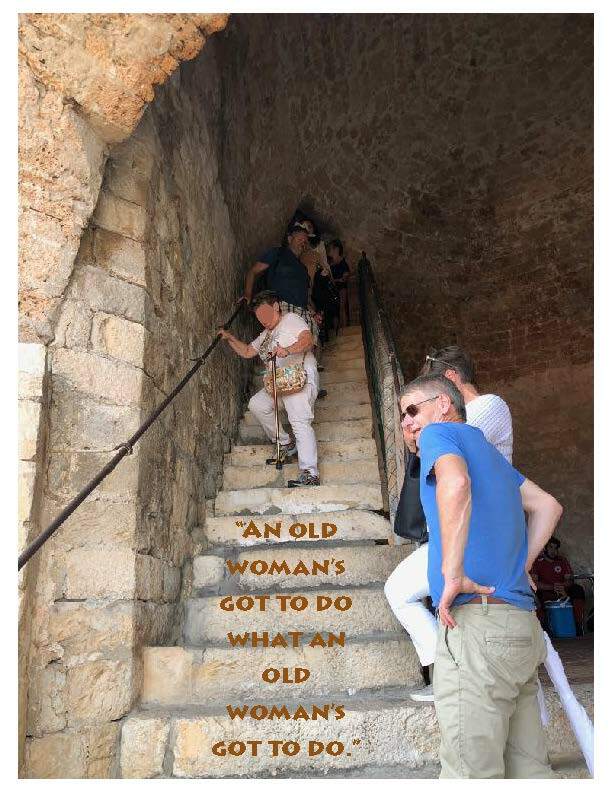 Between classes, our teacher colleague, Kirsten Hope, showed off the school’s wall. Kirsten explained that when Trump was elected, the students weren’t only upset, they grieved and they wanted to fight back. They persuaded the administration to let them create a wall showing the school’s values. Their values are my values too. Given the assault on civility from the White House and the go-ahead dog whistles to racists and white supremists, what happened next to the South Lakes’ student body was especially horrifying. In June, one of their Muslim students, Nabra Hassanen, 17, is the girl with the hajib who was assaulted and murdered when she was walking home from her mosque with friends, an event that shocked and angered everyone of good faith.